AN ENTREPRENEURIAL approach to a major public health issue has earned a Coast company an audience with Bill Clinton, US government agencies and thousands of teenagers. 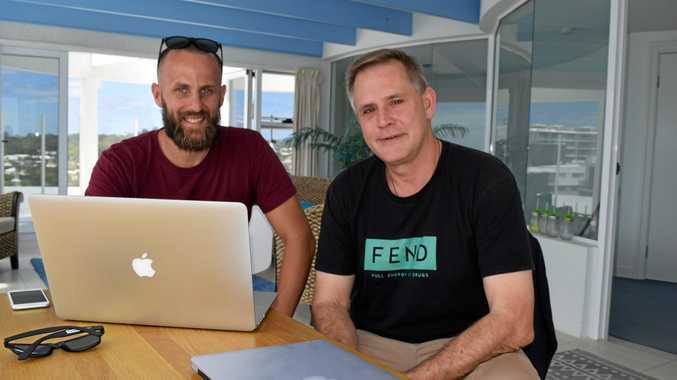 Business partners Steve Huff and Lyndon Holzheimer co-founded technology start-up company Preventum from their Maroochydore base after colleague and PhD student Jacquii Burgess in 2015 asked if corporate marketing tactics could be effectively applied to public health. They have so far found the answer to be a resounding yes. A successful trial through the University of Queensland of an app focused on reducing childhood burns showed the effectiveness of a platform that could be applied to any public health issue. It used gamification, a technique of applying the typical elements of games such as points scoring and competition with others to engage users with the content. Common examples include frequent flyer rewards programs or supermarket points schemes. Mr Huff and Mr Holzheimer then took the app to the United States where in late 2016 they signed memorandums of understanding for potential future collaboration with health agency Centres for Disease Control and Prevention as well as Johns Hopkins University. It was while speaking with state government officials in Alabama early last year they were enlightened to an opioid misuse and addiction crisis gripping the nation. US Government figures show more than 33,000 Americans died of drug overdoses involving opioids in 2015. The economic cost of the crisis for that year was estimated to be $504 billion, or 2.8% or gross domestic product. Statistics included overdoses involving illicit opioids such as heroin as well as prescription pain killers. Vans Warped Tour creator Kevin Lyman heard of the Coast company's work and reached out in November last year about using technology in his quest to highlight to teenagers and youth the dangers of opioid abuse. Mr Lyman spoke of his friendships with megastars Tom Petty, Michael Jackson and Prince and how their painkiller-linked deaths had spurred his determination. As a result of their chat, Mr Huff and Mr Holzheimer created the FEND app, an acronym for Full Energy No Drugs. "The goal was to empower kids to take care of themselves and their friends and their family," Mr Huff said. 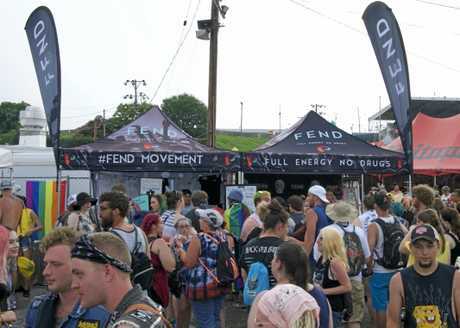 App users navigated their way through opioid-related information earning points as they progressed that could be cashed in for Vans Warped Tour concert tickets, clothing and exclusive backstage acoustic sets from headline artists We the Kings and Waterparks. Mr Huff said 17,000 people downloaded the app and progressed through its missions in the lead up to and during the 35-stop US tour earlier this year. "It was a good break but the reason he (Kevin Lyman) came to us was we were already at that level," Mr Huff said. The company is now sourcing financial backers to expand the app and is approaching health authorities keen to impart public health messages in engaging ways. "For us it is now just taking what we proved to other states," Mr Holzheimer said. Funding discussions have included a July meeting with former US President Bill Clinton and repeat follow ups with his Clinton Foundation about a potential future partnership. Mr Huff said the US was the initial target because of its superior market size when compared to Australia. "When you are a start-up tech company you get one opportunity to launch into a market," Mr Huff said. "We are motivated to bring it back here," Mr Holzheimer added. But for now, securing a market is their biggest priority. "Two (US) states have put their hand up," Mr Huff said. "That's really exciting for us."